Wouldn't it be great if we knew exactly what the car next to us was going to do before it actually moved? A lot of you might say no, because that means more electronic intervention ruining the joy of driving. Isn't it enough we have to put up with stuff like undefeatable stability control and nasty electric power steering? Toyota was probably trying to reassure all of us when it announced its latest in anti-accident technology. You know, it might actually be a great idea if your car had an understanding of what the car next to you was doing so it could help you avoid a big crash. 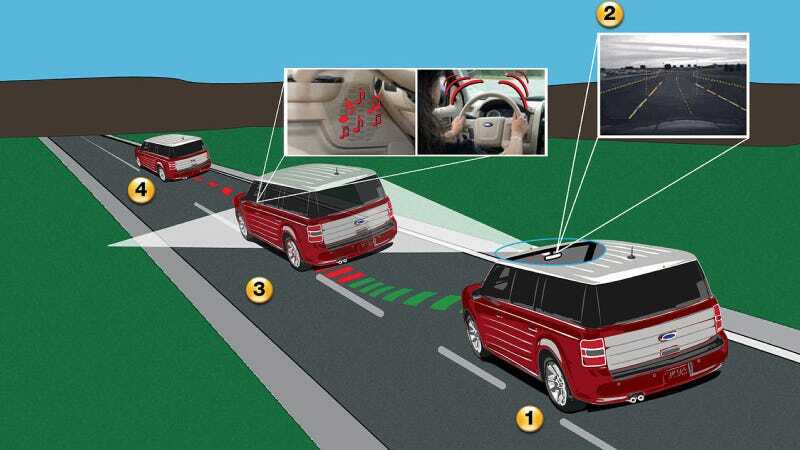 All of this radar-guided, camera-driven stuff sounds great as long as there's a steering wheel and a place for a driver that doesn't make it a total autonomous car. That was up until Toyota said it was all intended to keep its cars "fun to drive." Let's face the facts that, aside from a few exceptions, Toyotas made these days aren't fun to drive. So this is just PR BS and more electronic intervention we don't need. Unless Toyota was giving us a hint as to the kind of programmers they hired. I heard Akio Toyoda thinks this is a good idea. He just liked this post using Lexus Enform coming back from the scarf store.